صادقی, هیبت اله, محمودی, انور. (1397). قیمت‌گذاری و تعیین سیاست بهینه در سیستم های تولیدی چندمرحله‌ای با مدت زمان تدارک احتمالی، تقاضا متغیر، کمبود جزئی و نرخ خرابی قطعات. تصمیم گیری و تحقیق در عملیات, 3(3), 190-203. هیبت اله صادقی; انور محمودی. "قیمت‌گذاری و تعیین سیاست بهینه در سیستم های تولیدی چندمرحله‌ای با مدت زمان تدارک احتمالی، تقاضا متغیر، کمبود جزئی و نرخ خرابی قطعات". تصمیم گیری و تحقیق در عملیات, 3, 3, 1397, 190-203. صادقی, هیبت اله, محمودی, انور. (1397). 'قیمت‌گذاری و تعیین سیاست بهینه در سیستم های تولیدی چندمرحله‌ای با مدت زمان تدارک احتمالی، تقاضا متغیر، کمبود جزئی و نرخ خرابی قطعات', تصمیم گیری و تحقیق در عملیات, 3(3), pp. 190-203. صادقی, هیبت اله, محمودی, انور. قیمت‌گذاری و تعیین سیاست بهینه در سیستم های تولیدی چندمرحله‌ای با مدت زمان تدارک احتمالی، تقاضا متغیر، کمبود جزئی و نرخ خرابی قطعات. تصمیم گیری و تحقیق در عملیات, 1397; 3(3): 190-203. گروه مهندسی صنایع، دانشکده مهندسی، دانشگاه کردستان، سنندج، کردستان، ایران. در این مقاله، سیستم‌های تولیدی چند‌مرحله‌ای با در نظر گرفتن سیاست سفارش‌دهی POQ، مدت زمان تدارک احتمالی و تقاضای وابسته به قیمت، مورد بررسی قرار گرفته است. فرض می‌شود که مدت زمان تدارک در هر مرحله از تولید، احتمالی بوده و دارای توزیع مشخصی است. در حین تولید در هر مرحله ممکن است قطعه تولیدی در آن مرحله در مدت زمان بیشتر از آنچه که در نظر گرفته شده تولید شود و باعث تاخیر در تولید در آن مرحله شویم؛ به همین علت ممکن است در تحویل محصول نهایی به مشتری دچار تاخیر (کمبود) شویم . در این حالت فرض شده است درصدی از کمبود حالت، پس‌افت بوده و درصد باقی مانده نیز، فروش از‌دست‌رفته خواهد شد. هدف از ارائه این مقاله تعیین قیمت فروش بهینه، تعیین مقدار بهینه مدت زمان تدارک و فاصله زمانی بین سفارشات بر اساس سیاست سفارش‌دهی POQ و کمبود جزئی است به طوری که سود کل سیستم حداکثر گردد. Department of Industrial Engineering, Faculty of Engineering, University of Kurdistan, Iran. This paper considers multi-period serial production systems with Periodic order quantity (POQ) policy, lead-time uncertainties and demand dependent to the price. It is assumed that actual lead-time for each stage is probabilistic with known distribution and ordering system is multi period. During the production at each stage, the items may be produced in a longer time than it was schedule, causing a delay in production at this stage and this may result in backorders of the finished product. It is assumed in this case that a fixed percentage of the shortage is backlogged and other sales are lost. The objective of this paper is to find the pricing of unit product, planned lead-time and periodicity with quantity (POQ) policy in order to maximize the total system profit. Murthy, D. N. P., & Ma, L. (1991). MRP with uncertainty: a review and some extensions. International journal of production economics, 25(1-3), 51-64. Gupta, S. M., & Brennan, L. (1995). MRP systems under supply and process uncertainty in an integrated shop floor control environment. The international journal of production research, 33(1), 205-220. Bragg, D. J. (1999). The effects of partial order release and component reservation on inventory and customer service performance in an MRP environment. International journal of production research, 37(3), 523-538. Melnyk, S. A., & Piper, C. J. (1985). Leadtime errors in MRP: the lot-sizing effect. International journal of production research, 23(2), 253-264. Wemmerlöv, U. (1986). A time-phased order-point system in environments with and without demand uncertainty: a comparative analysis of non-monetary performance variables. International journal of production research, 24(2), 343-358. Molinder, A. (1997). Joint optimization of lot-sizes, safety stocks and safety lead times in an MRP system. 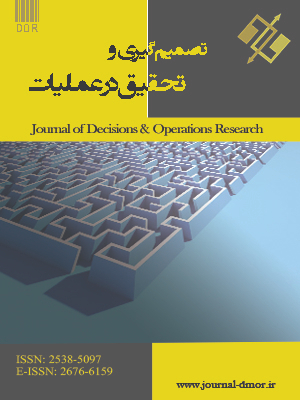 International journal of production research, 35(4), 983-994. Whybark, D. C., & Williams, J. G. (1976). Material requirements planning under uncertainty. Decision sciences, 7(4), 595-606. Kim, J. G., Sun, D., He, X. J., & Hayya, J. C. (2004). The (s, Q) inventory model with Erlang lead time and deterministic demand. Naval research logistics (NRL), 51(6), 906-923. Hadley, G., & Whitin, T. M. (1962). Analysis of inventory systems. Prentice-Hall. Kaplan, R. S. (1970). A dynamic inventory model with stochastic lead times. Management science, 16(7), 491-507. Zipkin, P. (1986). Stochastic leadtimes in continuous‐time inventory models. Naval research logistics quarterly, 33(4), 763-774. Lee, H. L., & Nahmias, S. (1993). Single-product, single-location models. Handbooks in operations research and management science, 4, 3-55. Louly, M. A., & Dolgui, A. (2013). Optimal MRP parameters for a single item inventory with random replenishment lead time, POQ policy and service level constraint. International journal of production economics, 143(1), 35-40. Hnaien, F., Dolgui, A., & Louly, M. A. O. (2008). Planned lead time optimization in material requirement planning environment for multilevel production systems. Journal of systems science and systems engineering, 17(2), 132. Sadeghi, H., Makui, A., & Heydari, H. (2013). Determining the periodicity and planned lead time in serial-production systems with dependent demand and uncertain lead time. Uncertain supply chain management, 1(2), 87-98. Sadeghi, H., Makui, A., & Heydari, M. (2015). Multi-objective optimization for inventory control in serial-production systems with dependent demand and uncertainty of lead times. MAGNT research report, 3(4), 247-254. De Bodt, M. A., & Van Wassenhove, L. N. (1983). Cost increases due to demand uncertainty in MRP lot sizing. Decision sciences, 14(3), 345-362. Yano, C. A. (1987a). Setting planned leadtimes in serial production systems with tardiness costs. Management science, 33(1), 95-106. Yano, C. A. (1987b). Stochastic leadtimes in two-level assembly systems. IIE transactions, 19(4), 371-378. Chu, C., Proth, J. M., & Xie, X. (1993). Supply management in assembly systems. Naval research logistics (NRL), 40(7), 933-949. Grubbström, R. W., & Tang, O. (1999). Further developments on safety stocks in an MRP system applying Laplace transforms and input–output analysis. International journal of production economics, 60, 381-387. Hegedus, M. G., & Hopp, W. J. (2001). Due date setting with supply constraints in systems using MRP. Computers & industrial engineering, 39(3-4), 293-305. Dolgui, A., & Ould-Louly, M. A. (2002). A model for supply planning under lead time uncertainty. International journal of production economics, 78(2), 145-152. Elhafsi, M. (2002). Optimal leadtimes planning in serial production systems with earliness and tardiness costs. IIE transactions, 34(3), 233-243. Ould-Louly, M. A., & Dolgui, A. (2002). A polynomial algorithm for the MPS parameterization under uncertainty. IFAC proceedings volumes, 35(1), 19-24. Tang, O., & Grubbström, R. W. (2003). The detailed coordination problem in a two-level assembly system with stochastic lead times. International journal of production economics, 81, 415-429. Chauhan, S. S., Dolgui, A., & Proth, J. M. (2009). A continuous model for supply planning of assembly systems with stochastic component procurement times. International journal of production economics, 120(2), 411-417. Hnaien, F., Delorme, X., & Dolgui, A. (2010). Multi-objective optimization for inventory control in two-level assembly systems under uncertainty of lead times. Computers & operations research, 37(11), 1835-1843. Borodin, V., Hnaien, F., & Dolgui, A. (2017). Random lead times in replenishment planning for single-level assembly systems: The value of information. IFAC-PapersOnLine, 50(1), 1205-1210. Jansen, S., Atan, Z., Adan, I., & de Kok, T. (2019). Setting optimal planned leadtimes in configure-to-order assembly systems. European journal of operational research, 273(2), 585-595.